Self-riding tech intended as aids, not for autonomous riding. Managing a 300-kilogram adventure bike is not easy. Any aspiring adventure rider needs all the help he can get. That’s exactly what BMW Motorrad has been cooking for the past 3 years, showcasing rider assist technologies so sophisticated, the bike can practically ride and balance by itself. We first got a glimpse of the rider-less Beemer last November from viral Facebook videos, with few details given at the time. At the recent Consumer Electronics Show (CES) in Las Vegas, Nevada, USA. BMW Motorrad showed off its rider-less R1200 GS prototype bike again, and how it works. "There's no gyroscopic technology in the bike,” said Michael Peyton, Vice President of BMW Motorrad North America. “It's using braking technology, shifting technology, steering technology — all things related to what a rider would use as inputs.” he added. While the bike can practically ride itself, BMW Motorrad assures that this is not to take any riding skill away from human riders in the future, but rather to serve as rider aides to help novice riders handle their bike comfortably and safely. With these aids, advanced riders will also be able to further push their BMW motorcycles to further limits. “The self-riding BMW R 1200 GS is able to start, accelerate, perform cornering maneuvers, slow down, and come to a stop — all by itself. Development of this test vehicle will provide valuable insights into riding dynamics, which can then be used to help the rider recognize dangerous situations and master difficult driving maneuvers. 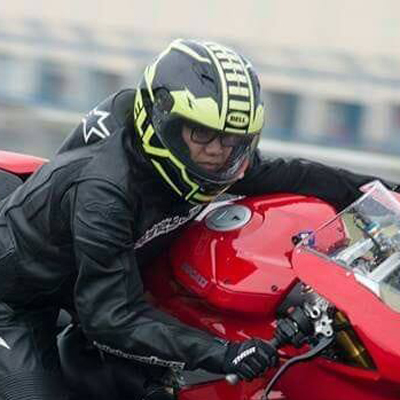 In this way, the self-riding motorcycle, with its comprehensive understanding of ideal lines and perfect cornering, correct braking points, and traction-optimized acceleration, can help the driver constantly improve their skills,” said the BMW press release. “A self-riding motorcycle helps us showcase some technologies that may be slightly farther out [in the future]. We're always looking at innovations and technologies, and BMW Motorrad has always been a leader in that regard. These developments can also help us improve rider safety and riding dynamics of our products as well,” added Peyton. If you frequently pass the Estrella-Pantaleon (Rockwell) bridge, find an alternate route. It will be closed for renovations starting this Saturday. After problems during its first two days of implementation, the LTO is back to the old-fashioned, offline medical certification process.